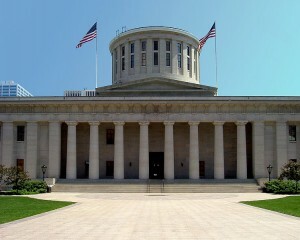 The Republican Senate President in the state of Ohio has put a stop to the furtherance of two pro-life bills, one which would have ended abortions in the state as early as six weeks, and another that would have defunded the abortion giant Planned Parenthood. 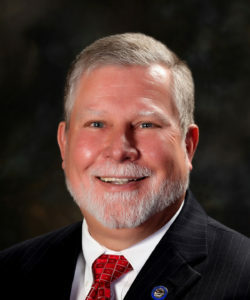 Tom Niehaus said that he will not bring either measure up for a vote before the legislative session ends next month. He told reporters that he felt that there were more pressing issues to worry about at this time. He also commented that he believes Planned Parenthood is beneficial to women. “From my perspective, you have to look at the entirety of the work that is done by Planned Parenthood, and I believe that they offer much-needed services that are not offered other places,” Neihaus explained. The Heartbeat Bill, which was championed by Faith2Action president Janet Porter, sought to ban abortions from the time that a heartbeat is first detected in a developing baby. While some say that the bill would have prevented abortions as early as six weeks as a result, most fetal development experts outline that a baby’s heart begins beating in as little as 20-25 days after conception. During hearings on the matter in the House, which is controlled by a Republican majority, live ultrasounds were performed on two pregnant women before all of the representatives present, so that they could see the baby’s heart and hear it beating for themselves. Supporters of the bill also delivered heart-shaped balloons to legislators and took out advertisements in the local newspapers supporting the gift of life. One group even flew a banner over the statehouse as a message to lawmakers that babies needed to be protected by the people of Ohio. Following presentations and debate in House, the Heartbeat Bill passed in June of last year. Now that the measure has been shelved by Neihaus, the vote will be discarded, bringing the matter back to square one next year. House Republicans had also inserted language into Governor John Kasich’s budget bill that would have stripped Planned Parenthood of $1.7 million of funding in the state, which Kasich implied that he would not oppose. “[Governor Kasich] supports polices that support the sanctity of human life,” spokesperson Rob Nichols told reporters. Ohio Right to Life president Mike Gonidakis also expressed his support of the inclusion to the budget bill. “Ohio’s abortion industry will no longer feed at the taxpayer trough. Instead, these dedicated health care funds will be offered to those entities where a vast majority of low-income women and their children seek responsible and life-saving services,” he said. While Neihaus, who supported Mitt Romney during the presidential election, including the Republican primary, calling him a “bold leader” and a “true outsider,” has put an end to the passage of both pro-life bills this year, others state that they will not give up the fight. “I am hopeful and confident it will come up in the next General Assembly,” said Senator Shannon Jones, who told reporters that she believed the bill would have passed in the Senate had it been given the opportunity. The Ohio State Senate is largely Republican, with only 10 seats out of 33 held by Democrats.